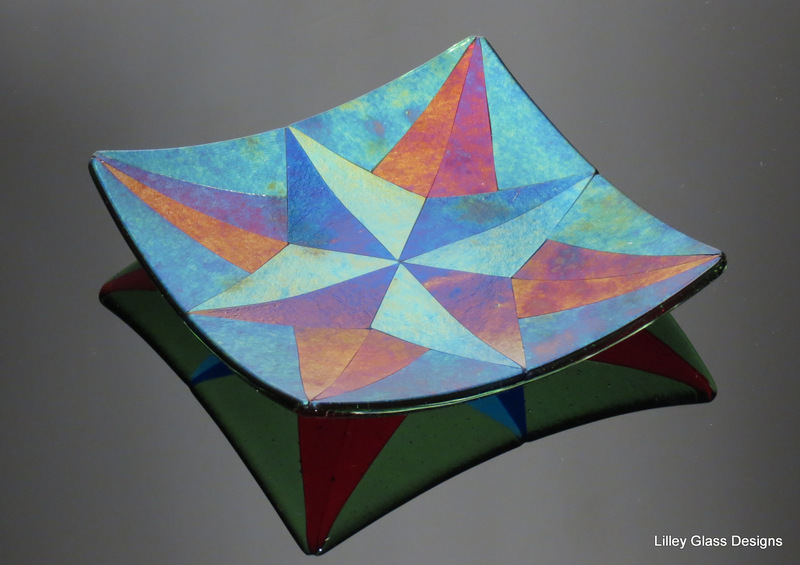 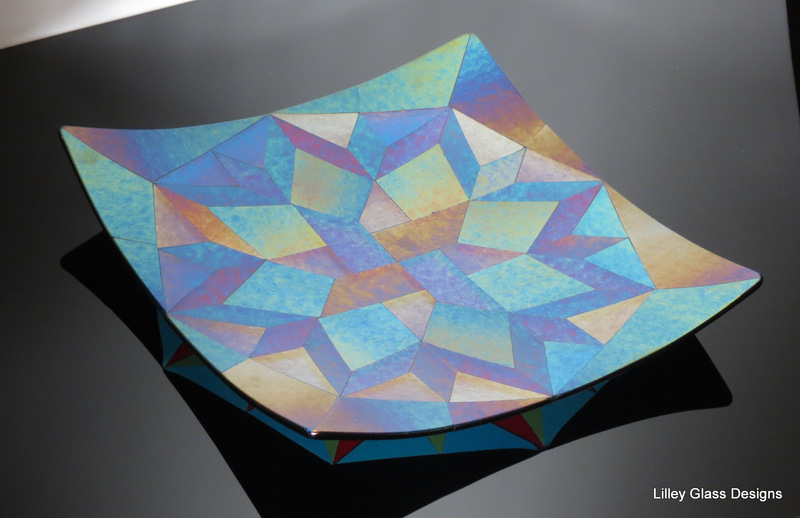 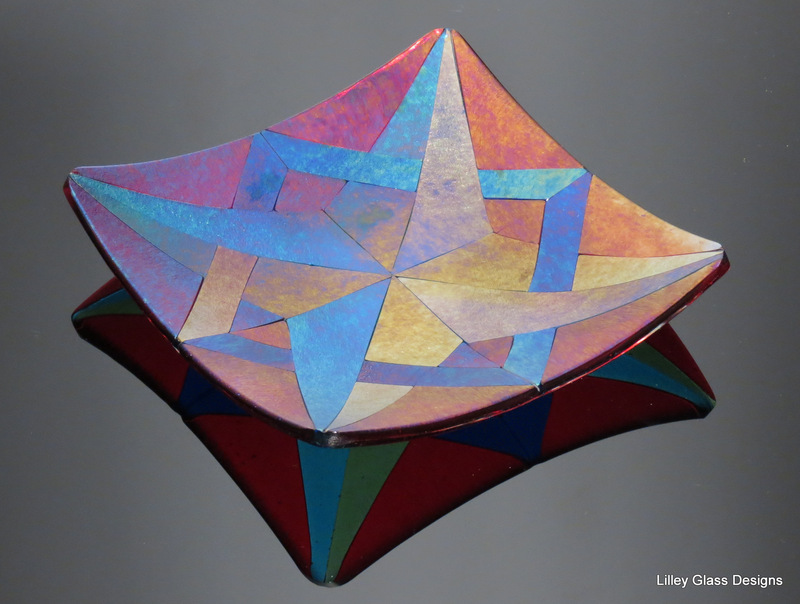 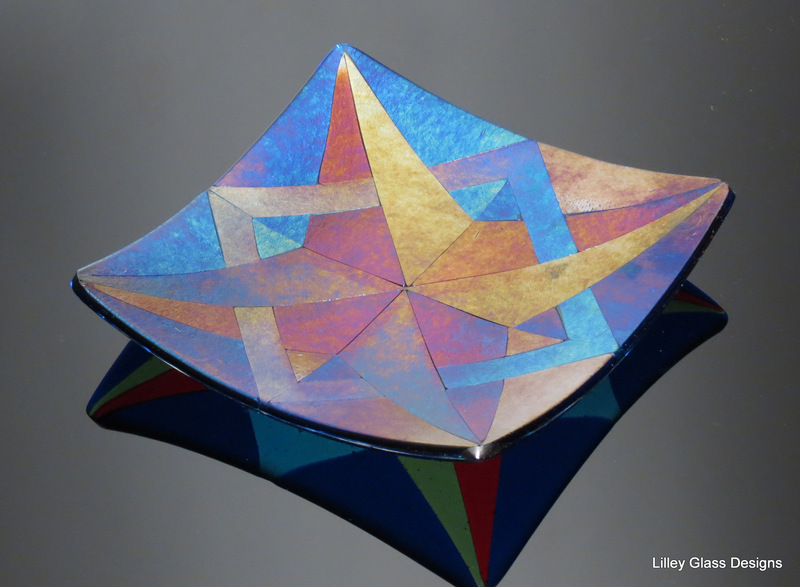 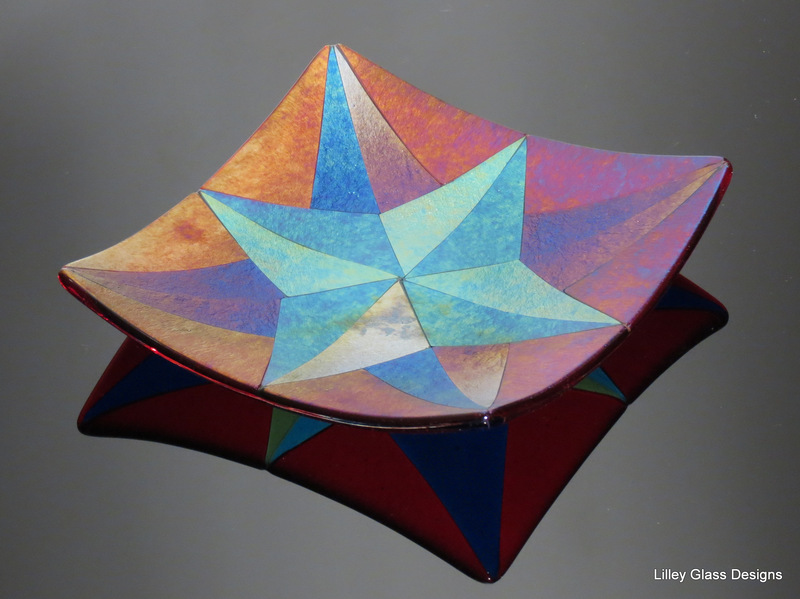 Karen has developed a collection of iridescent star plates drawing on traditional textile patchwork designs for inspiration and using iridescent glass. Each plate has a matt top surface and the iridescence changes depending on the viewing angle. The colours of the glass without the iridescence can be seen in the reflections of the plates. The platter below is 31cm square, this particular one has been sold, but Karen is happy to make similar to commission. 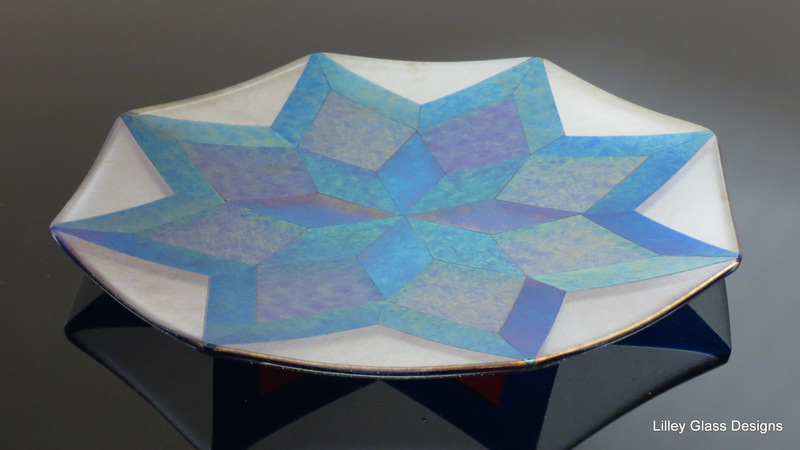 This octagonal platter is also available by commission. It is 31cm in diameter. 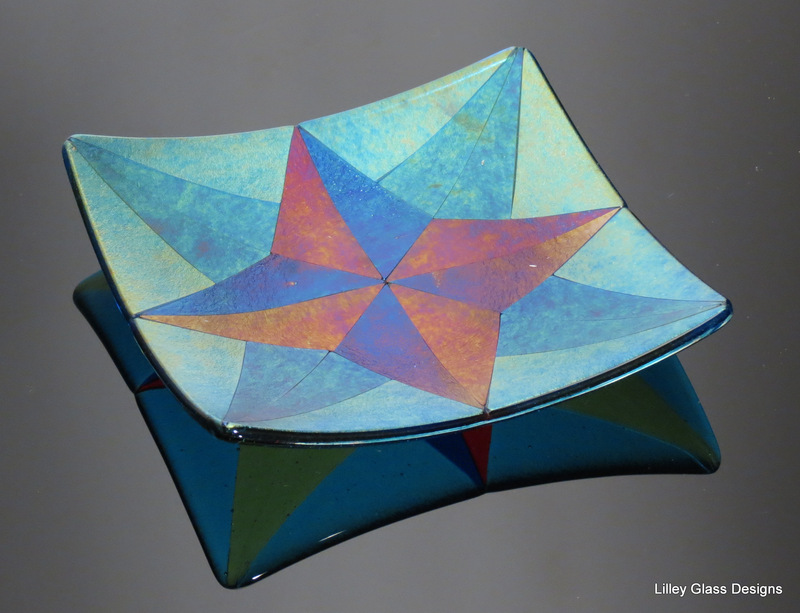 Below are a series of smaller star plates, each is 15cm square and all are available from the Shop section in the left side bar menu.